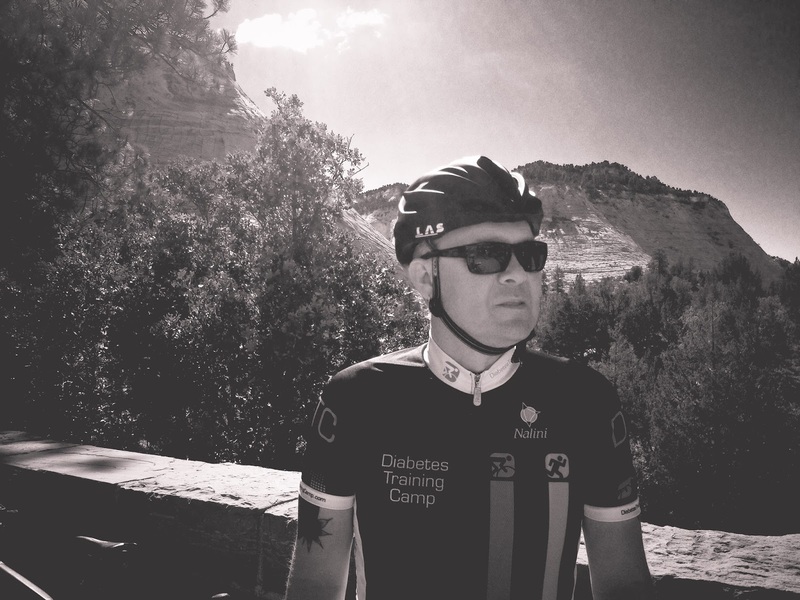 Grant Curry will be celebrating 40 years of living with type 1 diabetes by completing a 4 day, 400 mile cycling trip, along with four friends and hopes to raise $40,000 dollars worth of scholarships for DiabetesTrainingCamp Foundation. Grant's an inspiring guy with inspiring POV when it comes to life with diabetes - Give a read and Happy Diaversary, GRANT. Grant - First off - Congrats for being �this close� to celebrating your 40th diaversary - that�s impressive! What do you remember about your diagnoses and how have things changed since your DX? I remember going to the doctor and immediately to the hospital after. I spent a week learning urine testing, injections and dietary instruction. Diabetes management was a bit like playing Pin-the-Tail-on-the-Donkey back in '75-'76; throw your dart and hope for the best. I was terrified hearing about all the complications that I was told were likely on the way. Life expectancy for Type 1 back then was 60-65 years. I felt frustrated, depressed, and helpless. So much has changed since then and my outlook is generally positive and I feel more confident being pro-active with my management. Having resources such as pumps, CGMS, rapid acting insulins has had a tremendous impact on my quality of life. We didn't even have home blood testing until 1983. It's a whole new world now. That certainly doesn't mean it's easy for people being diagnosed now, however. It's not easy for any of us but it is more possible to be more precise in our management with the right tools and education and motivation to do the work. I think the emotional/mental component of living with Diabetes is the greatest challenge of all. The phrase "non-compliant Diabetic" has been used for a long time and I've never liked it. It doesn't accurately depict the true disposition of someone struggling with their disease. There's many effective ways to help someone with Diabetes. We all need love and encouragement and acknowledgement of our challenges. I think there's a great movement of positive changes for people with Diabetes today. I know that everyone has moments of struggling when it comes to living with D - how have you learned to handle those moments and do you handle them differently now at 40 years in verses then? Yes, we all have those moments to greater or lesser degrees throughout our lives with Diabetes. Having challenges doesn't change. Developing resources for dealing with the challenges can change, however. For many years early on, I was in denial, I was angry and lacked the depth of maturity needed to cope with Diabetes. I think that's pretty par for the course for diagnosis at 8. Minus the maturity part, adult diagnosis can be overwhelming as well. I mean, who's really mentally prepared to be diagnosed with Diabetes before it happens? Today, I rely on family and peer support, I practice meditation, I look for new ways to adapt and adjust as life changes. My dear friend and colleague, Carrie Cheadle, Mental Skills Coach at Diabetes Training Camp, teaches "Preparation Equals Confidence" in regards to race or sports event readiness. The same applies to Diabetes management. If I'm being pro-active in my self-care, I'm better prepared mentally for the moments of struggle. I know I'm doing my best (which is rarely perfect) and can be more reasoned in my decision making, as in "Okay, now what do I do?" No, that would be my dear friend and Ride40 teammate, Townsend Myers. He's a longtime buddy of mine who was my main cycling partner before I moved to Georgia in 2010. He's been an extraordinary friend and supporter of my life with Diabetes. He started the club not long after I left, somewhat as a reaction to losing his riding partner. He's a great sportsman and leader. You could probably say he's The Godfather of present-day cycling in New Orleans. Look him and the club up if ever you're looking to ride with someone there. You�ve chosen to celebrate your 40 years of living with diabetes by taking on an extreme cycling challenge with 3 of of your friends, aka RIDE 40. Indeed, it is going to be extremely challenging for me, and my team, Townsend Myers, Rick Crawford and Bryan Yates will be helping me reach my goal. They're all super strong cyclists and amazing people that have made my life more fulfilling in different ways. Our friend Sebastien Sasseville was riding, too, but had some things come up that got in the way of his participation. He's a great guy and we'll miss his humor in our moments of suffering. I'm the only one with Diabetes on the team. Obviously, I don't discriminate against people not living with Diabetes. That's funny, right? RIDE 40 will happen between May 17th through May 21wt, 2016 and it�s billed as: �4 days. 4 friends. 400 miles. 40,000 of elevation gain. tell us about your reasons for doing the ride, how you came up with the ride, your teammates, and why Diabetes Training Camp Foundation is so special to you. I came up with the idea about a year and a half ago. I wanted to create a challenge to commemorate the milestone and give me something big to work toward. I have some personal health and fitness goals attached to the event intended to give me a recharge as I near Life Level 50 and move into the second half. I want to be healthy and active as long as possible. The challenge needed to be more difficult than any previous endurance events for me. I've been working really hard to reach the best fitness of my life for this. I also want to reach others in the process and send the message of turning Obstacles into Opportunities. I've had an amazing life so far, full of both darkness and light, and my determination and positivity and resilience have come through living with Diabetes and having the opportunity to be involved in Diabetes camp programs. Diabetes Training Camp Foundation is special to me because going to the camp in 2008 gave me renewed hope and perspective on living with Diabetes and being able to successfully manage Diabetes and endurance cycling. I want to see others have the same opportunities I've been given by raising scholarships funds for Diabetes Training Camp. I encourage everyone to have a look at the website and read more about the incredible individuals riding and supporting during Ride40. My wife, Cynthia, is our Team Coordinator - she's got an incredible spirit. Growing up I know you went to Diabetes Camp - how did that help shape you as a person living with and owning their diabetes. Yes, I went to Camp Joslin for Boys with Diabetes for several years and was also a counselor there as a teen. Those amazing summers changed my life. 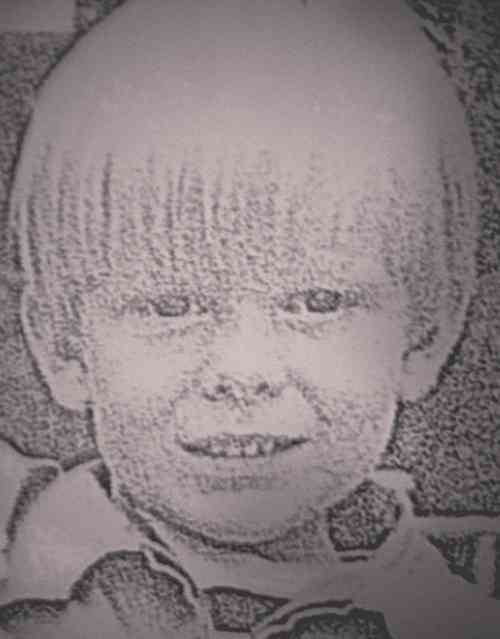 I was a bit of a troubled kid and I attribute that mostly to my struggles with Diabetes. At camp, I felt free from much of the struggle and was able to be at ease and have fun and feel understood. I discovered many of my strengths at camp and learned how to be a good friend. I didn't necessarily get the Diabetes figured out all at once, but everything I learned at Camp Joslin stayed with me and carried me through some difficult times. It did help me own my Diabetes and eventually find confidence in myself. I still keep up with friends from Camp Joslin. The magic of my camp experiences never goes away. I say the same thing about my experiences at Diabetes Training Camp. Exercise and balancing all the diabetes idiosyncrasies isn�t always easy - but exercise is SO INCREDIBLY IMPORTANT to living with diabetes. How have you learned to deal with all the blood sugar/ exercise/cycling issues that come your way? That all goes back to my camp experiences in my youth and as an adult. Our endocrinologists may be outstanding (mine certainly is), but you just can't get everything you need in an office visit. The doctor is but one part of what is, ideally, a team effort. Diabetes Training Camp has made the biggest difference in my ability to manage Diabetes and exercise. It may be incredibly difficult to manage the two, but it is possible and there are answers and solutions for achieving success. Going to DTC is exactly how I've learned, along with a lot of trial and error testing. There's no other program like it and I cannot express with more enthusiasm my belief in what happens at DTC. What�s your advice to people living with diabetes who are struggling with accepting their diabetes? My immediate thought is "Go to Diabetes Training Camp!" I also think it's important to go easy on yourself as you begin to actively explore solutions to dealing with the struggle. Acceptance takes time, and usually involves some pain along the way. You're not alone, although you may feel that way. There's help out there waiting for you. Years ago, I had a doctor tell me "There is no place for judgment in Diabetes. There is no good or bad blood sugar. It's simply information. Let's start by losing the labels and then we'll look at the information." It was a powerful moment for me. I still get a little teary-eyed when I think of that. I used to equate my blood sugars with my self-worth. I think many of us have experienced that at some point. Let's be a little more kind to ourselves. Let's connect with each other and share our stories and be empowered together to live more fulfilling and active lives. Kelly, thank you so much for taking an interest in my story and Ride40! KK: Thank you for the all the awesome, Grant!